As this long drawn out bitter cold winter has us all longing for open water, each one of us has thoughts about where and when we will be able to get out in our boats for the spring walleye bite. This winter season has brought ice depths to a point that most of us have not seen in years. These thick iced up rivers and lakes could cause a problem when the temperatures do finally start to warm up. As the ice begins to melt I will be getting the itch to take my boat out and will make multiple trips to the boat landing hoping that I can give the “all clear” to launch and begin the open water season. After the winter we have had I may not be in the boat for a while. 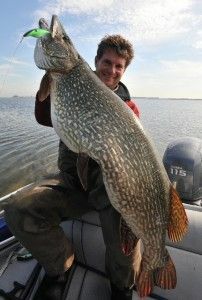 So before I actually drop the boat in I will start to “Shore Troll” for walleyes. Yes! That is trolling from the shore line or river bank. 10-lb monofilament line: Berkley’s Trilene Big Game 10-lb test monofilament green in color. When you are making a selection for your crank bait make sure that you are familiar with the water depths in the river you are fishing. 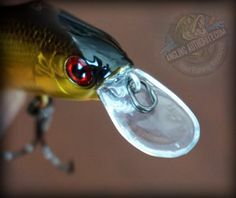 If the depths range from 5 to 7-ft, you will want to choose smaller crank bait or one that will have less of a dive curve such as the Kinchou #7. If you are fishing a river that has a nice drop from the bank with depths ranging from 10 to 15-ft, you may want to use the Kinchou 9 or 11. Color options are important in the spring. Pay close attention to the water color and clarity. With warmer temperatures the snow will create water to run off into the rivers and will muddy up or create less visibility. 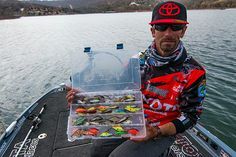 Under these muddy water conditions you want to stick to brighter colored crank baits with a rattle. Don’t underestimate the black colored crank bait. It is easier to see underwater than you would think. After you have chosen your crank bait you can use your line counter reel letting the appropriate amount of line out to allow your bait to dive close to the bottom. 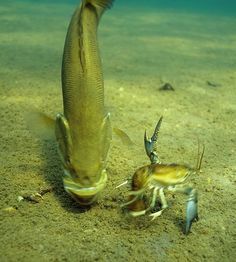 Most spring time river walleyes are in the bottom 3’ of the water column. Once you determine the amount of line to let out you can clip on the Off Shore Mini Planner board using the red clip in front and the yellow clip in back and let the current do the rest. Make sure to slowly let line out so that the board can work against the current. Once you have established your distance from shore you can set up another rod if your local regulations allow more than one fishing rod. When a fish takes the bait the Mini Board will swing out deeper, swing towards shore or dip under the water. So be sure to keep a close eye on your Off Shore Boards. Reel in the line and take the board off first then the fish. 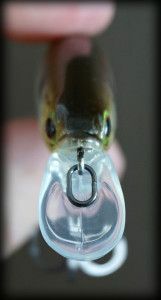 This technique works for other species such as trout, salmon and crappie. 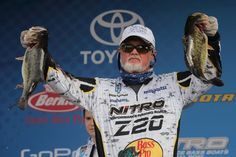 For those of us who have spent time shore fishing you know that on many occasions you cannot cast far enough or can see the sweet spot but just can’t get your bait to it. Try “Shore Trolling”. For more information on the products that Marianne uses visit the following sites: Matzuo, Offshore Tackle, Abu Garcia, Berkley Fishing and Mercury Marine.